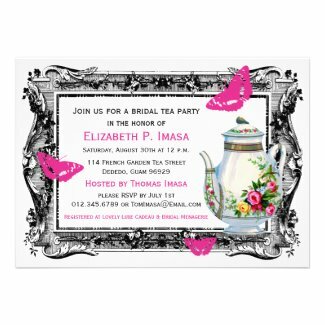 As little girls, we all loved playing dress-up and having tea parties with our friends. Why should that magic have to stop just because the hands of time swung around the clock a few thousand times. 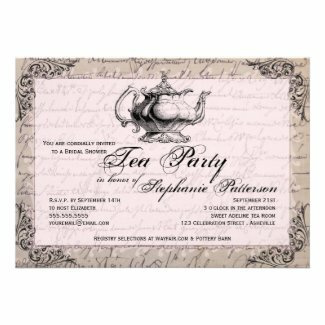 If you're looking for a fun yet oh-so-romantic bridal shower theme, a good old-fashioned tea party just might do the trick. 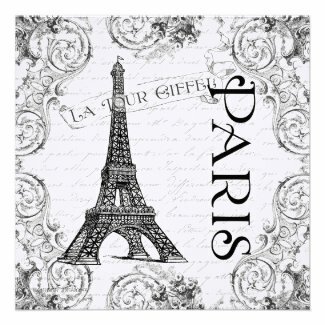 Add the element of dress-up and a vintage French theme and voila, you've got the best darn party theme this side of the Eiffel Tower . 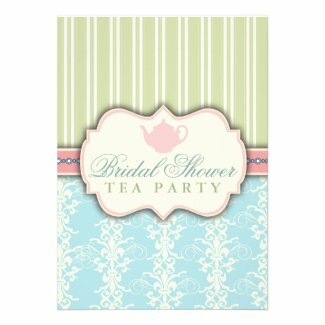 Who could resist an invitation for a day of glamor and elegance in honor of the bride-to-be? Invite your friends and relatives using any of the following to set the tone. Click on each of your favorites to learn more about pricing, to see larger images or to personalize and order yours today. Many of these designs are available in a rainbow of other colors. Do tell everyone to dress up and wear their best hats. Provide several varieties of tea both hot and cold. Serve finger foods and dainty desserts. Use differing patterns of vintage tea cups. You can collect these at thrift stores or ask everyone in the bridal party to bring their set from home. 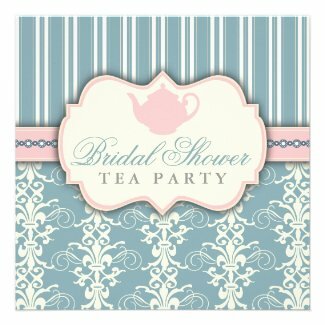 What other ideas do you have for a fun vintage French tea party shower? Share them here in the comments section. All featured images aside from the invitations are available for purchase at AllPosters.com. Click each one to see it in its original source.